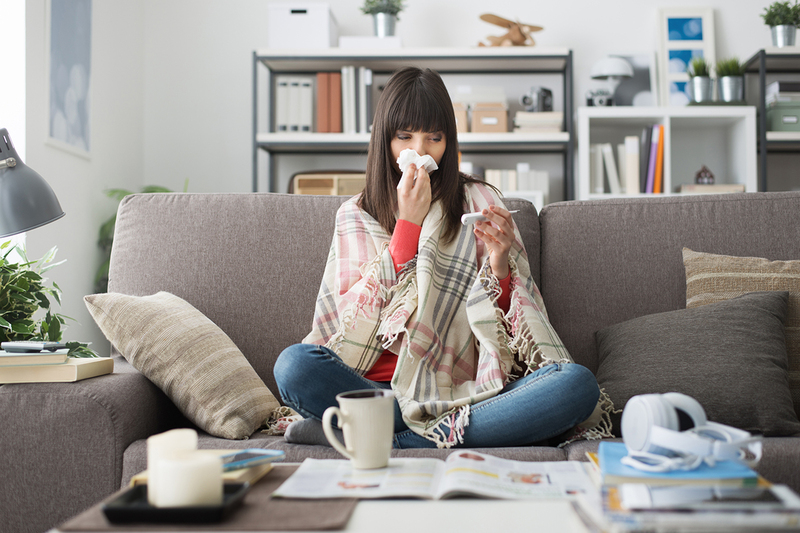 Stay Healthy With These Cold and Flu Season Tips. I hate being sick. I probably hate it more because I don’t get sick often, but when I do, I get really sick. The last time I got sick was just after Bella started school. I literally didn’t move from my bed for a whole week. Thankfully I do have a few routines I practice in order to stay as healthy as I can. While I try to practice them year-round, I definitely implement them more during cold and flu season. 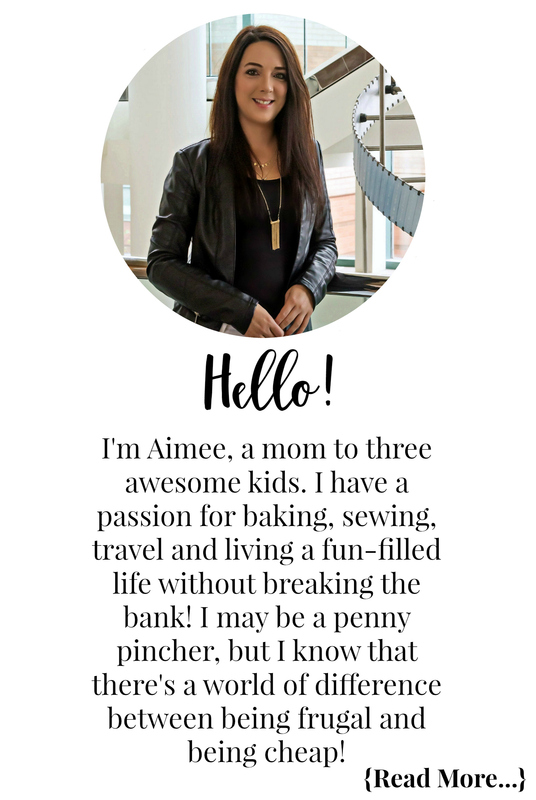 So, today I am sharing some of my cold and flu season tips with you. I hope they can help you stay as healthy as possible this cold and flu season too! If you find yourself getting sick often, especially during cold and flu season check out these tips. Granted no matter what you do, there is never a guarantee you won’t get sick. 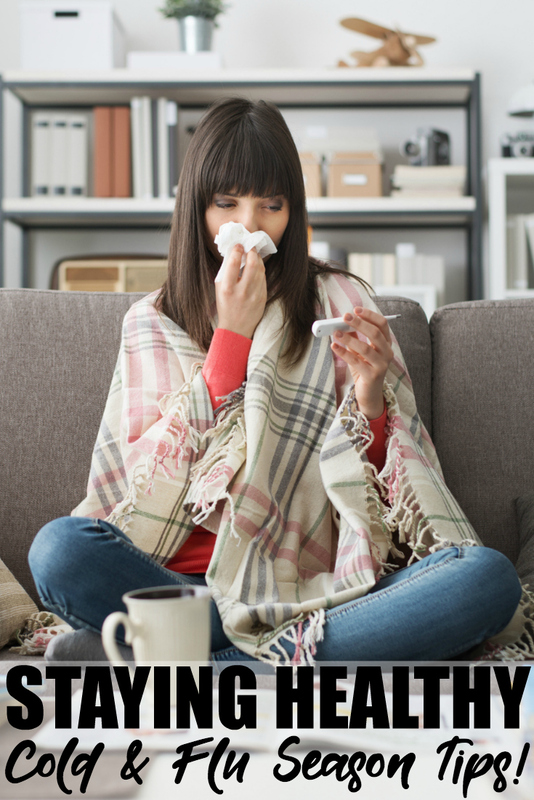 However, following these cold and flu season tips can help prevent it as much as possible! Rubbing your eyes, touching your nose or lips, even nail-biting, are all ways germs you pick up on your hands throughout the day spread into your system. Learn to be aware of when you touch your face and try to reduce it. This is something I am desperately trying to teach poor Bella. This should be a given, but yet some don’t do it as often as they should. Make sure to wash hands frequently. You should always wash your hands after using the restroom, blowing your nose, pushing a cart at the grocery store, and especially before eating. Doing so more frequently when you are around someone who is sick. Another tip for keeping your hands clean, don’t cough into them. Instead, cough into your elbow crease. This is one that you should get in a habit of doing. Before you flush put the toilet seat down. Bacteria spreads when the toilet gets flushed, so if the seat is down it limits exposure. This is especially helpful when someone in the house is sick, it limits getting those germs on all the surfaces in the bathroom. If possible get adequate sleep each night and avoid allowing your body to run down. Same thing for stress, if possible limit it. I know at times it is hard to do when life happens, but getting stressed and worn down really takes a toll on your immune system. To limit stress you can try meditating, planning ahead, and if all else fails, take a break from people who trigger stress! One thing I never leave the house without is my hand sanitizer. I can’t use the soap in public restrooms as it irritates my skin so I always have some on hand. Get in the habit of keeping one in your purse, car, and diaper bag so you always have one handy. That way when you are out and about you can use the hand sanitizer after pushing a grocery cart or helping the little one blow their nose. A good fire way to keep germs at bay is to keep food and drinks to yourself. Don’t share food or drinks with a friend or family member as it can spread germs. Try to make sure everyone has their own food and drinks and sticks to their own goodies. Just because someone doesn’t look sick doesn’t mean they can’t be a carrier. Viruses like influenza can survive for up to 8 hours on a surface, so make sure you are cleaning properly. Wipe your countertops, door handles, toilet handle and taps. Also make sure to give other commonly touched items such as remote controls, keyboards, electronics, fridge handles, and any other surfaces a good wipe down. If you have been in contact with someone who is sick chances are you might have germs on you. You definitely don’t want to spread them around the house as you lounge, so change your clothes once you get home. Your body needs certain things to be healthy, and hydration is one of them. Making sure you stay hydrated can help protect your immune system. It will also prevent you from dehydrating as fast if you do end up getting sick. One thing I have learned over the years is that I don’t always get my daily intake of vitamins and probiotic I need. As a busy mom and blogger sometimes I am in such a rush I don’t eat as healthy as I should. Taking a multivitamin, vitamin D, and a probiotic has helped tremendously. I have only been sick a few times since implementing a daily routine of vitamins and a probiotic vs dozens before. *Remember to always consult your doctor when planning to implement vitamins and a probiotic into your diet. This is to ensure they are right for you, how much you should take, and that they will not interact with any medications you are taking. Did you know that you should change your toothbrush every three months? When someone gets sick you should change their toothbrush once they are better. If anyone else’s brush came in contact with theirs, it too should be changed. To avoid spreading germs fast, always keep everyone’s toothbrush separate if possible vs in one container on your counter. 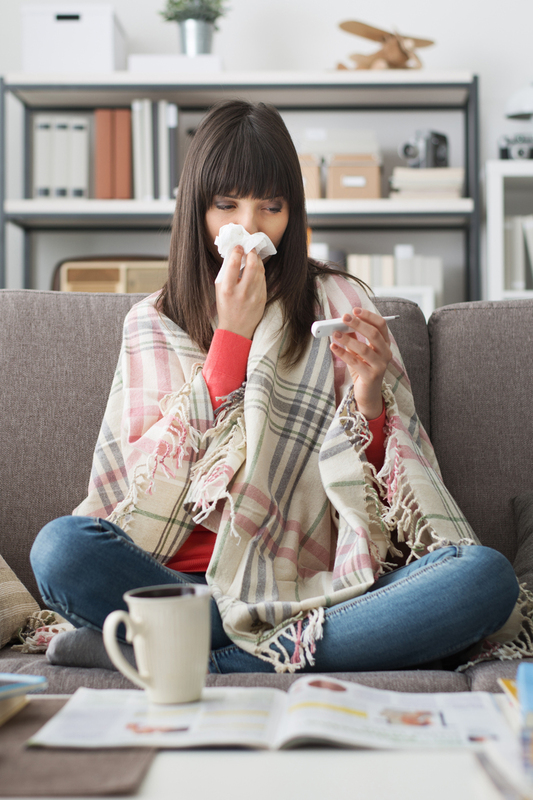 Do you have any other cold and flu season tips that help you stay healthy? Let me know in the comment section below!